Measurement units for items are listed/added in this page. Go to SETTINGS-> MEASUREMENTS to add measurements. 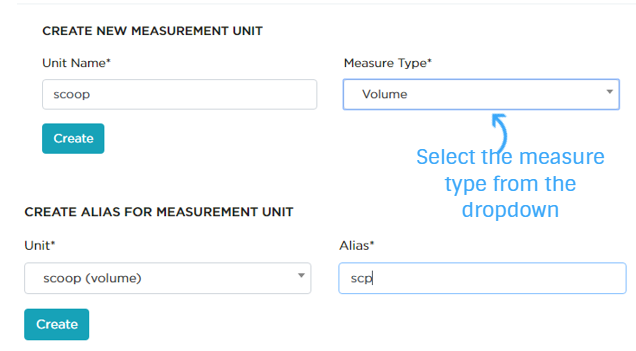 Since system allows users to enter new measurement units during the item entry, the newly entered units are listed as missing units. 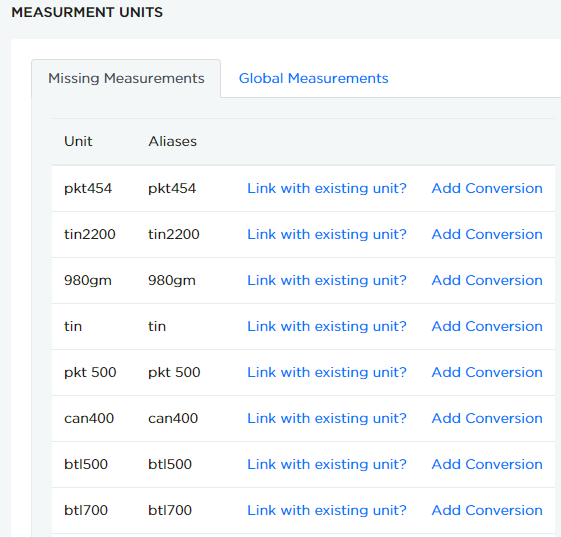 You have an option to link or convert these missing units. 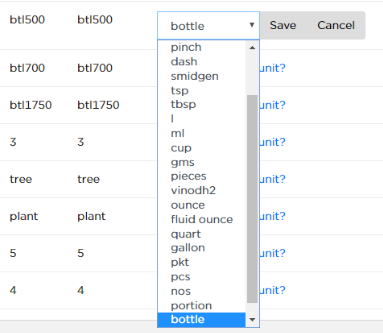 As shown in above example, "btl500" is linked to "bottle". As shown in above example, "btl700" is converted to "bottle" with a factor as 700.